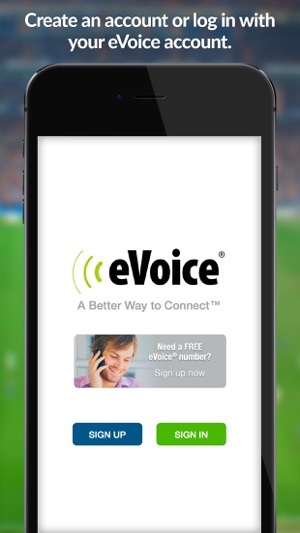 The eVoice® app lets you add a business phone number to your iPhone, so you don’t need a second phone! Discover the freedom of having your business line accessible from your smartphone. Make & receive calls, send & receive texts, access your phone contacts and more, all from the eVoice app—without any headaches or restrictions. • 300 minutes/month with your business number. • Separate work and personal voicemails. 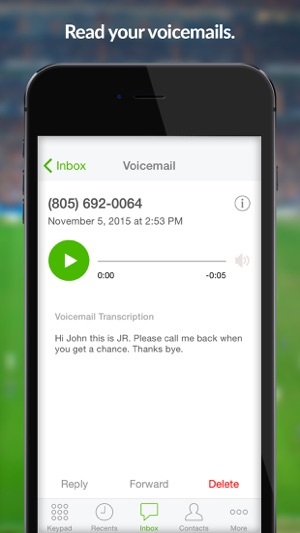 • Have your voicemails transcribed to text and emailed to you. • Create speed dial shortcuts. • Save and review call logs. • Receive text messages (local numbers only). 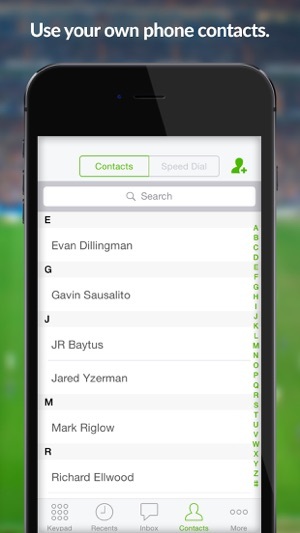 • Access your phone contacts from within the app. • Screen calls to help manage your time. 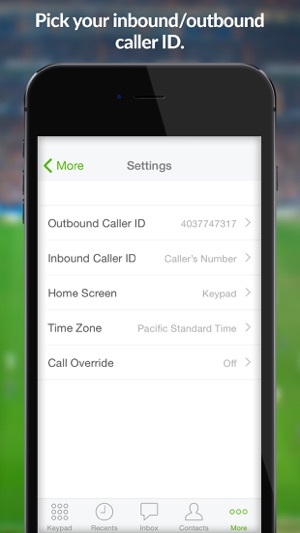 • Show your eVoice number as the caller ID for outbound calls—regardless of where in the world you’re calling from. 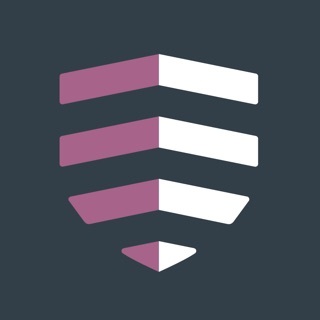 Download the eVoice app for iPhone and iPad, and turn your phone into a mobile business line. We’re committed to making eVoice® the best business phone/communication alternative for tech savvy mobile users, but don’t take our word for it! Sign up for eVoice® today and discover just how easy—and convenient—using a virtual number can be. Note: The eVoice® app cannot be used for emergency calls (911). - Fixed display issue when using large system font size. - Minor layout fixes for iPhone X. - Various other minor fixes. We use evoice as our “front” phone system. It receives all incoming calls and then dispatches them to a receptionist via cell phone or to a “backup receptionist” (Zendesk talk, which is our customer support system). I also use it to manage all my cell phone calls that I am unable to answer or that need to be screened. This is an excellent system for the cost. We do get complaints from callers who say they could “not get through,” which seems to mean that they have to leave a message. However, we are able to handle hundreds of calls per day with this system. The transcriptions of voice mail messages are of fair quality as long as the caller speaks clearly. The call recording feature is wonderful if we ever have to go back and investigate a question. I highly recommend it as a low cost phone system that is feature rich. To give this system a stronger review, I would like to see some kind of real-time display and management screen. I can’t tell you what harm this app has done my business in the past month. I thought I’d try it and can’t say one nice thing about it. It will send me a message that someone sent a day ago. That’s unacceptable. The other thing it does is when you send someone a text reply it will then show up as an incoming g message from that person exactly what you just typed to them and sent. What the hell. Cmon that is just annoying. And the same person you are texting can then show up in the inbox field countless times and as if a new person each time they text you. Here again horrible. I wouldn’t suggest anyone with valuable clients take a chance to use this app. They will think you are a flake!! I have used google voice and no issues. Same with GoDaddy which is what I am now using. Overall eVoice is great for the money. Phone calls work well and you have good options to customize your business phone set up. However their app is terrible. It isn’t able to connect to their network half the time. So when you go to call costumers with your business number from your cell phone (which is what lots of small business owners do) you aren’t able to log into the app to make calls. It is very frustrating, and has made me waste valuable time and has kept me from contacting costumers when I needed to do so. So if you plan on making a lot of calls from a cell phone I would strongly suggest looking elsewhere. © 2018 j2 Global, Inc.